Every month, P-WEC holds a mobile library program, a program where P-WEC brings children books in a station wagon and comes to remote villages surrounding P-WEC center so that the poor children can read for free. During the program, P-WEC also holds educational games of nature conservation for the children so they can learn and have fun. 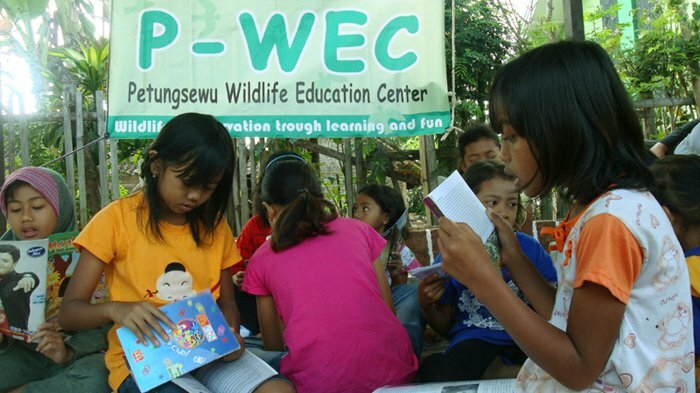 Petungsewu Wildlife Education Center (P-WEC), ProFauna Indonesia's education field project and center, not only runs its programmes about wildlife conservation education in its complex but also holds public awareness and rural community development for the villagers living surrounding P-WEC.